Ezéckiel Nibigira, Minister of Foreign Affairs has met the diplomatic corps and international organizations operating in Burundi, this 23 August. They have discussed the security and political situation prevailing in Burundi. Some of the points discussed included the implementation of the new Constitution vis-à-vis the 2020 elections, the process of the Inter-Burundian dialogue and the current situation of the Burundian refugees in the neighboring countries. They have also discussed the current situation of the human rights, in particular the detainees’ rights and the recent outbreak of Ebola virus disease in the region as well as the recent National Plan for Economic Development. 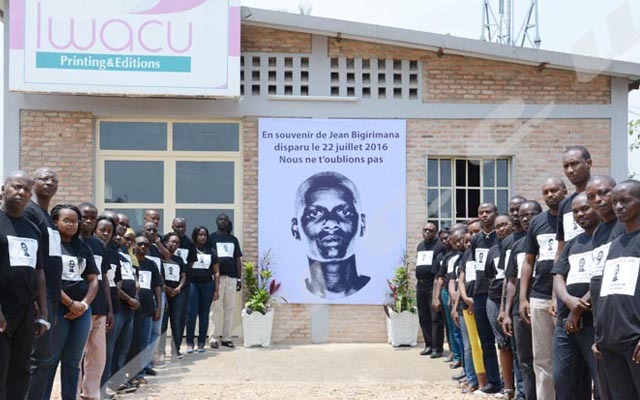 Minister Ezéckiel Nibigira has said this is the first meeting he organizes since he was appointed Minister of Foreign Affairs in April 2018 adding that it has allowed participants to give their opinions about the situation prevailing in Burundi. Concerning the Inter-Burundian dialogue, Minister Nibigira says the preparations of the referendum which was held on May 17, 2018 have prevented Burundi government from attending all dialogue sessions organized by the facilitation led by the East African Community. “But now, everybody is ready. We are now preparing for the 2020 elections and we hope that stakeholders in the inter-Burundian dialogue will discuss issues related to those elections”, he says adding that the next dialogue session will be the last. The Foreign Affairs Minister says Burundians should not always be disrupted by those dialogue sessions held outside the country. “All the remaining issues will be discussed internally,” he says. Ambassador Basile Ikouebe, new AU representative to Burundi says participants in the recent AU summit, agreed that the AU would accompany Burundi in the implementation of a roadmap that will allow the organization of peaceful and inclusive elections in 2020. He also says the AU also welcomed the announcement of the president not to run for another term. “But, this doesn’t mean that this announcement sweeps away all challenges that Burundi is faced with. AU is ready to support these good initiatives,” he says.